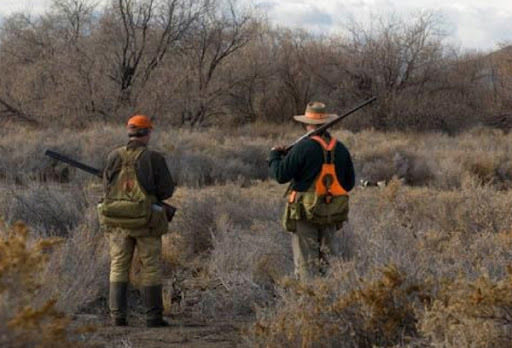 This is Bob Welsh and me hunting Valley Quail in Idaho January 2012. We are both wearing the WingWorks vest. After a full year of traveling and hunting around the country, I can easily say this is the finest vest I've ever worn for serious bird hunting. Plenty of storage, water capacity, secure pockets and designed for use with the electronics many of us use. The new Astro holder is a perfect solution to carrying and using the handheld unit. I broke down and ordered the camera holder, too, since my various hunting partners all chided me exposing the camera to the elements all day. This is a durable tool for the bird hunter. It may not be suitable for the hunting done by jumping in and out of the truck many times a day. For that, the Filson strap vest may be more appropriate. I did notice over the season that Chukar hunters love this vest. And that, my friends, is one heck of an endorsement! Those purists (some would say..fanatics) don't use anything that will drag them down or slow them up in their search for the red-legged demon. I hope to consider myself a Chukar hunter some day, but as for now I'm not, merely a wannabe. My vest hunted 7 states over the season and should last me through my last day.